Featuring members of Two Steps On The Water, Cyanide Thornton was founded in early 2016 and have been steadily gaining traction in Melbourne’s alternative rock circuits. While incorporating elements of folk and rock, Cyanide Thornton transcends its composite parts, moving into a space of raw emotion and fierce determination. Ellah Blake (drums) and David Pesavento (bass) provide understated yet resolute punctuation for each song, holding together the music with a remarkable tenderness and affection, and providing a cradle for Sienna Thornton’s masterful and harrowing lyrics and guitar work. Thornton’s voice is at once wistful and melancholic, painting narratives with a tender immediacy. The album evokes a sense of magical realism, with its lyrics transforming painfully human experiences of love and loss into magical and ethereal moments. 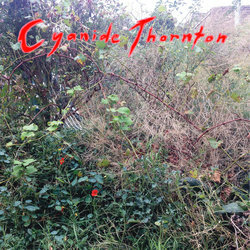 Cyanide Thornton is a record wreathed in tenderness, honesty and intimacy, and will guide you from the dark corners of your mind to somewhere unearthly and supernatural. Catch the band launch their debut album at The Curtin in Melbourne on Friday 16 November. The legendary South Sudanese performer Gordon Koang and Romy Vager will be supporting. The band describe the single - "'Hot Air' in a fast moving car on flat ground. Smash into yourself, burst out of yourself. This is a song about difference and distance in close relationships, about trying not to be too self-destructive, and finding different ways to love."